TBeds has over 2 million delighted customers worldwide. The Carlton City Hotel Sinpore is situated in the historical district of Tanjong Pagar along the fringes of Chinatown and Raffles Place and within the Central Business District. Positioned as an International Business Hotel, Carlton City is attuned to the needs of the well-travelled guests with a taste for style and comfort. Tech-savvy guests can also enjoy a high degree of accessibility with integrated Wi-Fi connectivity throughout the hotel. Designed by the reputed Hirsch Bedner Associates, Carlton City is the second property of the Carlton brand. Timeless and contemporary, Carlton City is a business hotel that reflects the same sense of tradition and excellence that is exemplified by the first hotel. 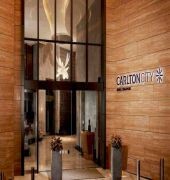 The CARLTON CITY HOTEL SINGAPORE is a Tourist, Business, Leisure, City hotel, Eco Friendly hotel. Located in SINGAPORE area. Shopping is right next door and the nightlife/restaurants are located in the hotel. We're confident the you will find the best value for your money on your hotel bookings here on Tbeds.com. Copyright © 1999 - 2014 Tripmart International Limited. All Rights Reserved. Descriptionclass="small" style="text-align: justify; font-size:11px;">The Carlton City Hotel Sinpore is situated in the historical district of Tanjong Pagar along the fringes of Chinatown and Raffles Place and within the Central Business District. 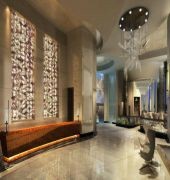 Positioned as an International Business Hotel, Carlton City is attuned to the needs of the well-travelled guests with a taste for style and comfort. Tech-savvy guests can also enjoy a high degree of accessibility with integrated Wi-Fi connectivity throughout the hotel. Designed by the reputed Hirsch Bedner Associates, Carlton City is the second property of the Carlton brand. Timeless and contemporary, Carlton City is a business hotel that reflects the same sense of tradition and excellence that is exemplified by the first hotel.